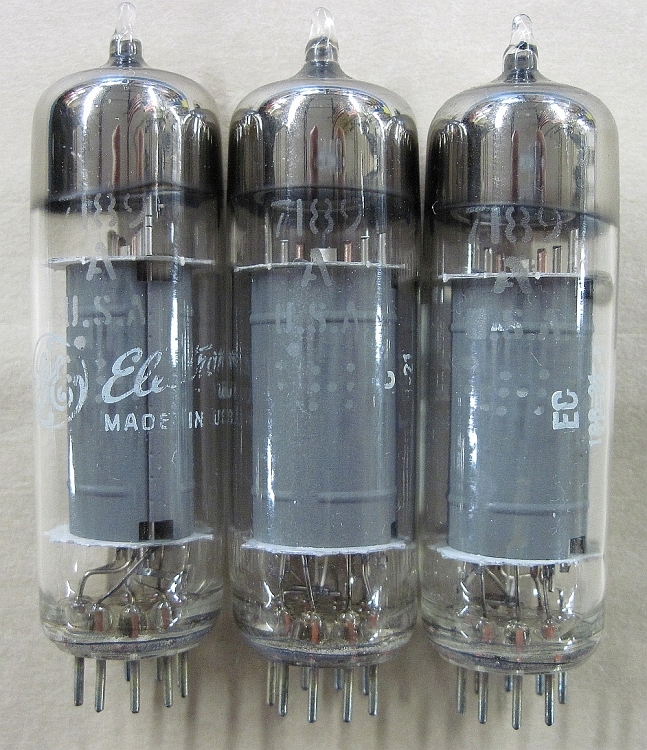 These are GE 7189A vacuum tubes. All three are tested. Results are 90%, 90% and 88%.